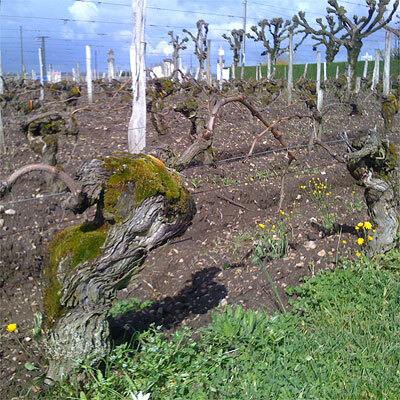 Old vines at Vieux Château Certan, 1 April 2010. For the 2009s my favourite Pomerol. From the Pomerols that I tasted I only present the ones that I recommend. 1. Vieux Château Certan 2009 (Pomerol). Ripe, fresh and expressive. An attractive, modest sweetness. Very deep (exciting) wine. Chalky, succulent, seducing and quite soft. The freshness is great (9+/10). 2. Château Trotanoy 2009 (Pomerol). Open and fresh fruit, hint of sweetness. Once in the mouth it comes across quite classic and tight. Love the mineral touch, with an impression of chalk in the finish. Solid wine for the long term. Very good and harmonious (9/10). 3. Château La Fleur-Pétrus 2009 (Pomerol). Lively red fruit. Elegant corpus, freshness too. Very fine. Not very powerful yet sufficient structure. Especially fine and elegant (9-/10). 4. Château Hosanna 2009 (Pomerol). Ripe fruit, animal tone, hint of warm fur. The wine comes across ripe and broad (nose), and at the same time there is a certain youthful slenderness, a focal line in this wine. A bit astringent now (8,5/10). 5. Château La Conseillante 2009 (Pomerol). Pleasant sweet-ripe nose. Hearty juice, good concentration and good balance. Not the superb freshness that I found in the 'VCC' (Pomerol). (8,5/10). 6. Château Nénin 2009 (Pomerol). Tasted at Léoville-Las-Cases with R&D manager Rémy Fulchic. Mineral and chalky, good texture, not hard but slightly astringent now. In the nose the wine presents itself soft and quite round. Succulent juice with some sweetness (8+/10). The nose of the 2nd wine Fugue de Nénin 2009 is stony and animal. The wine is dark, quite fat and ripe. Distinctive wine, very mineral and with good freshness (8-/10). 7. Château La Providence 2009 (Pomerol). Very ripe and quite low acidity. Solid structure but no hardness. Very round style (8/10). 8. Château Gazin 2009 (Pomerol). Not expressive but modest (now). Chalky, lively fruit. Bit spicy. Good freshness (8/10). 9. Château Petit Village 2009 (Pomerol). Modern style Pomerol, ripe to very ripe, powerful and quite sweet. Solid structure too, a bit astringent, but there's an attractive freshness to the wine (8/10). 10. Château Certan (de May Certan) 2009 (Pomerol). Nose very open and expressive, bit toasted. Quite classic though. There's a hint of bitterness. Bay leaf (8/10). 11. Château Feytit-Clinet 2009 (Pomerol). Attractive modern-classic. Good ripeness of the fruit. Good balance, lovely wine (8/10). 12. Château Bourgneuf 2009 (Pomerol). Nose: intense and with animal hints. Acidity seems low but kicks in with the finish. Quite classic style. This wine especially presents itself in the finish (8-/10). 13. Château Lafleur-Gazin 2009 (Pomerol). Classic style, more serious and less approachable at this moment. Needs time. Tight and with fraîcheur, and mineral (8-/10). 14. Château Rouget 2009 (Pomerol). Ripe, spicy and lavish. Distinctive, different but interesting. Some sharpness (8-/10). 15. Château Plince 2009 (Pomerol). Nose very 'dark', stony and sweetish (chocolate). Lively wine. In the mouth still closed and a bit astringent (7,5/10). 16. Château Le Bon Pasteur 2009 (Pomerol). Michel Rolland's own domain. Ripe and round, a crowd-pleaser. Good wine, interesting 'Rolland-standard' (7,5/10). 17. Château Moulinet 2009 (Pomerol). Modest, smokey, classic. Hearty juice, good wine (7,5/10). Offers can be followed on bordeaux-2009.nl. 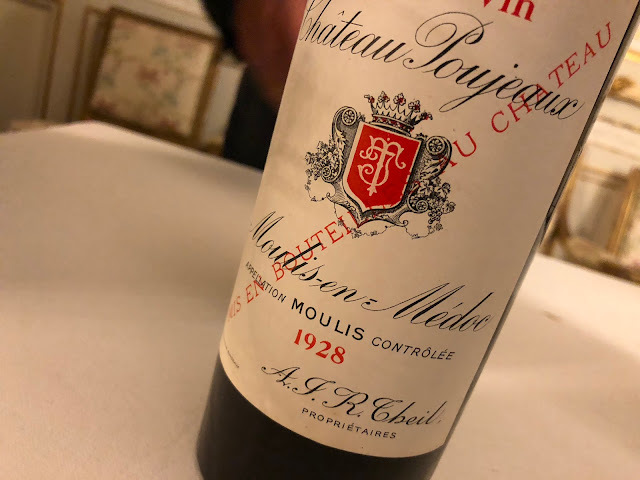 The tasting notes for the other Bordeaux regions can be found in the 3 previous postings.